It has been 13 years since NISA originally released Disgaea: Hour of Darkness in Japan and then followed it up 3 years later with the PSP port renamed Afternoon of Darkness. Now in 2016 we have received the PC port of the PSP port. How does it stack up to the nostalgia goggles? For those who have never played it, or who did so very long ago. 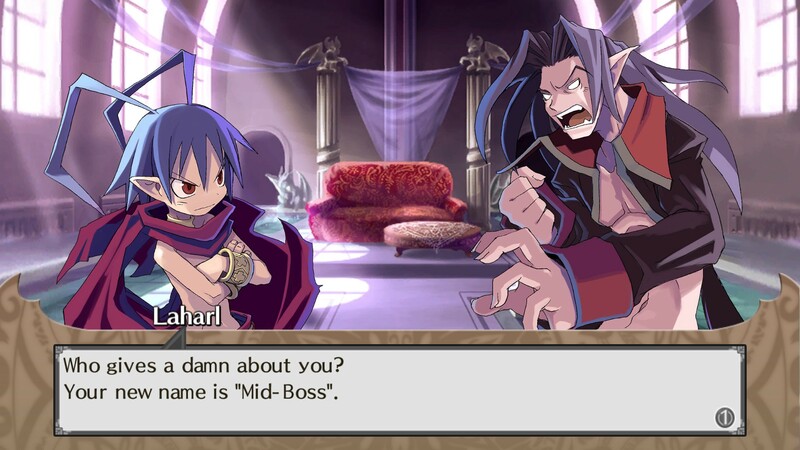 Disgaea places you in the role of the forever self-obsessed Prince Laharl, rightful heir to the Overlord throne and all round grumpy demon. 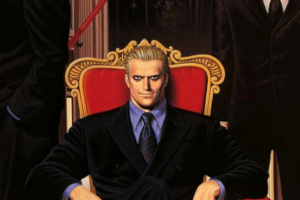 This underworld and demons environment was and is still fantastic as it steps away from the typical fated one/hero of light thing that most RPG’s lean on and allows this title and its series on a whole free reign to play on the silly side. Awoken after an accidental 2 year nap, Prince Laharl is informed of his fathers death and the following civil war over the newly vacated position of Overlord, a position the young Prince has every intention of filling himself. From there he heads off on a journey with his last remaining vassals Etna and the Prinnys. This journey is full of unexpected story twists and laughs, but also some softer more serious moments. Featuring multiple endings including “joke” ones, Disgaea gave a lot of potential story choice, Afternoon of Darkness also brought Etna mode, which was a separate story focused on Etna. As expected nothing much has been changed when it comes to the story in this port but in my opinion it really didn’t need to. 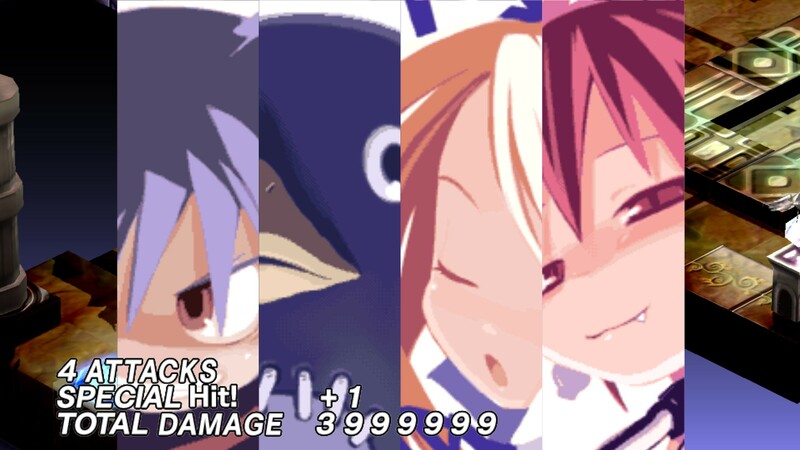 Disgaea is one of a rare breed of games which nailed it’s gameplay as well as its story. 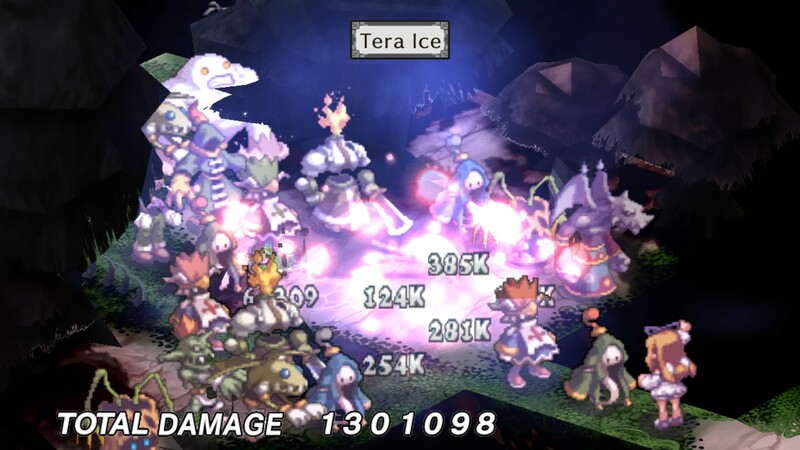 Although the main gameplay is very solidly in the typical SRPG area taking its cues from Tactics Ogre and Final Fantasy Tactics, it makes some changes and additions which set it apart such as the level 9999 limit, millions of points of potential attack damage, the ability to throw both allies and foes as well as many others which I will outline a few of. As much as the main gameplay is standard SRPG that isn’t to say that is a bad thing, it does this very well and hits all the right notes, with turn based battles taking place on grid based arenas. 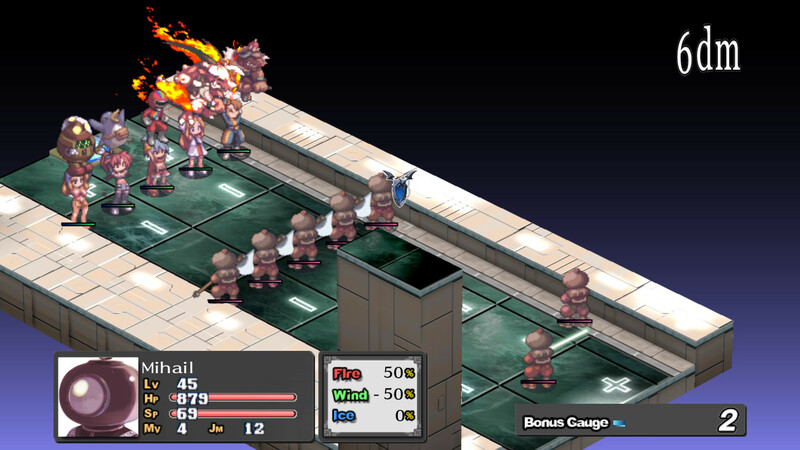 The unique features are where the Disgaea really shows off its fun and silliness with things such as the Item World, a portal that allows you to go into your items and fight enemies inside to level them up and potentially gain more powerful items. Transmigration, which is an ability in New Game + which allows you to reset a character to level 1, loosing all abilities but giving some nice stat bonuses. These bonuses will seem small at first but as you add more transmigration levels then the stats become more obvious and don’t feel like such a waste of time. Graphically, Disgaea has always been a pretty good looking game although never quite leading the pack. Colourful sprites and very nice backgrounds with decent animations and a LOT of super flashy ones too make for a overall nice looking title if it never quite blows you away, however this is where the main plus of this port come into effect, there have been a lot of changes brought in such as a reworked AI, new textures & sprites for the game world and up-scaling to allow it to run on bigger screens in 1080p. All of these changes are very well done and look the part but for the die hard series fans they can all be switched off and the title played in its original form. Along with the graphical changes that have been made for the PC port, support for both keyboard & mouse as well as controller have been enabled. Beyond that it is the usual features you would have come to expect from a Steamworks enabled title such as achievements, cloud saves and trading cards as well as their badges. 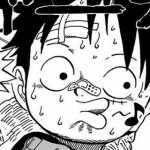 From the perspective of audio, the port brought nothing new to the table but once again I don’t feel like it needed to as the audio was always top shelf. With absolutely fantastic voice acting, good music which fits with the overall theme of Disgaea even down to the occasional punk styled blast which always served to surprise. The only let down was ever the sound effects which get reused a hell of a lot and can sometimes grate. Now onto the really surprising let down of this port and boy is it a stinker. The big P…… Performance! This port is absolutely awful, full of graphical glitches and issues as well as needing a high end PC to even get running. Considering it is a game from 2003, I was shocked to find that my laptop only managed to run it at half speed and that my pc had some frame rate issues. 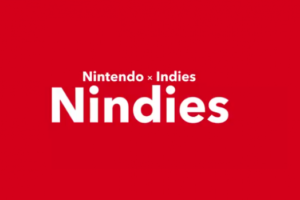 Normally I would score a game down hugely on this, but sadly this is far from the only title to be affected by a poor PC port, and in their defence NISA are one of the few developers have said they are aware of these issues and they claim to be working on them so we shall see how that works out in the coming months. 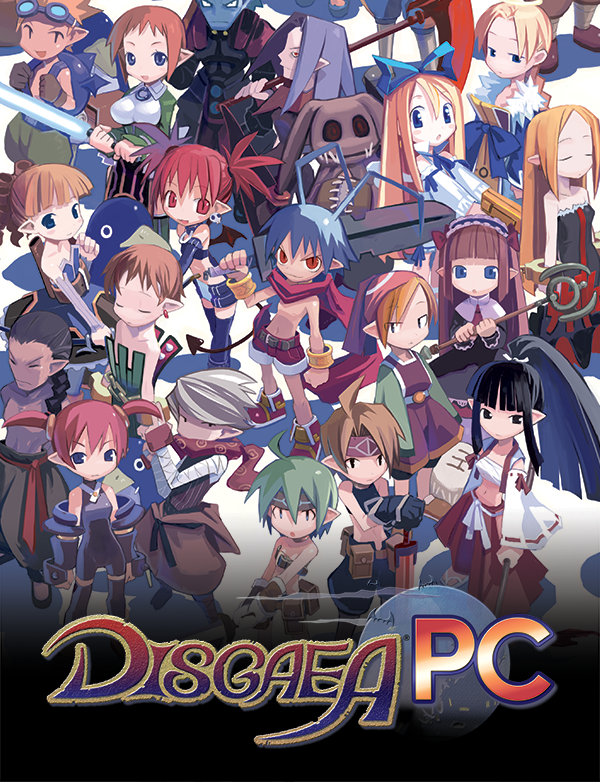 For the time being unless you want to throw a high end PC at it, I would suggest just waiting a little while before picking Disgaea PC up even with its current £14.99 price tag. In conclusion, Disgaea PC is still a great and hugely amusing SRPG with solid gameplay and story that gets let down with a shoddy PC port, in 2016 this should no longer be happening, especially on platform-specific ports.